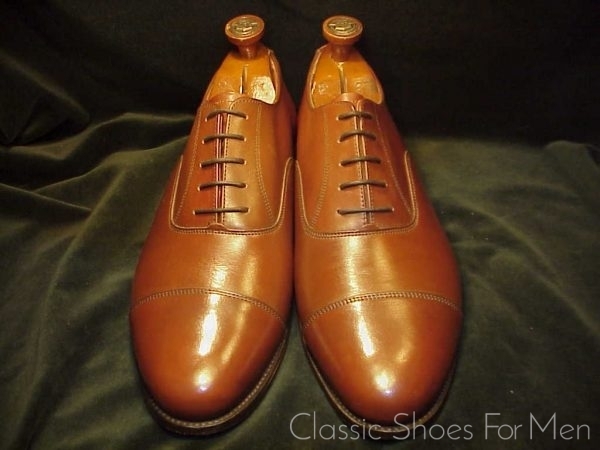 For more than a century, Lotus was considered to be one of England’s leading shoe manufacturers and while they produced a wide variety of boots and shoes in their century-long operation, their flag-ship products and the ones with which they continue to be associated are their Officers Dress Shoes and Veldtschoen boots and shoes, thought to be the finest Veldtschoen products ever made. 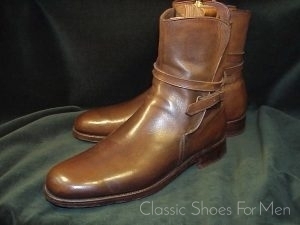 Lotus Veldtschoen boots were first marketed as officers’ boots in the First World War and remained in production until the 1980s. 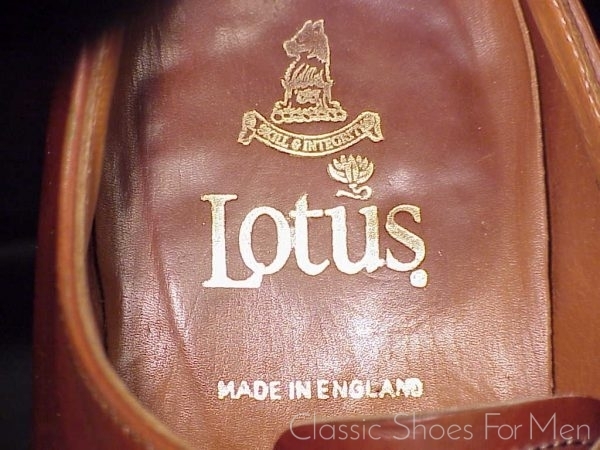 To show the waterproof qualities of the boot, a pair of Lotus Veldtschoen Boots was displayed in a bucket of water for many years in Cordings’ window at number 19 Piccadilly. 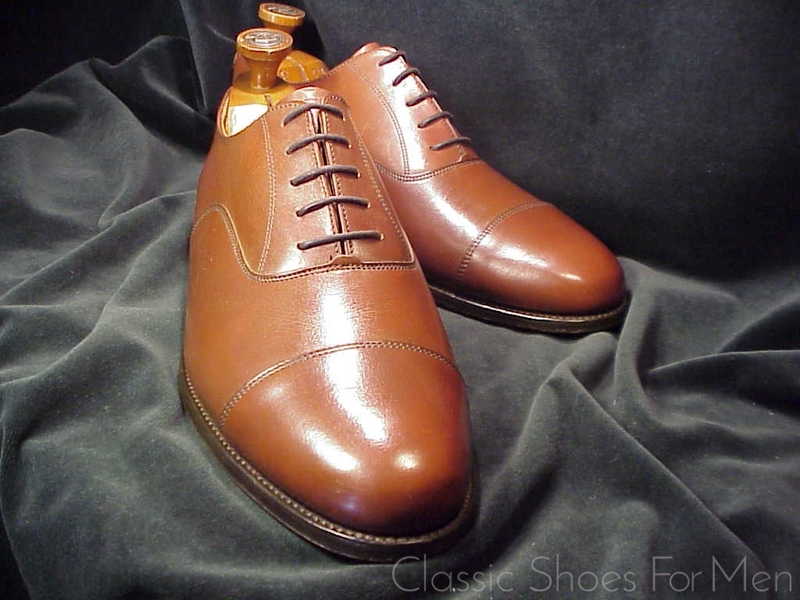 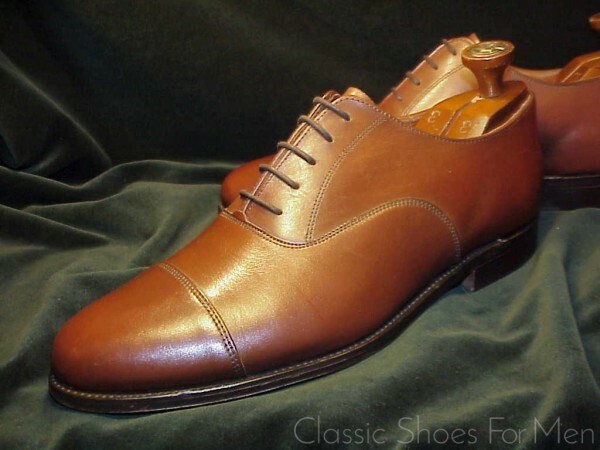 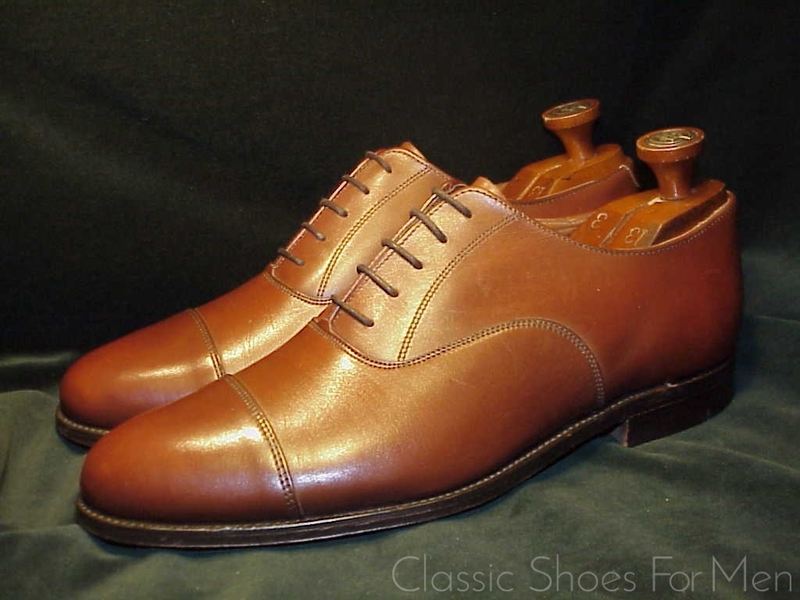 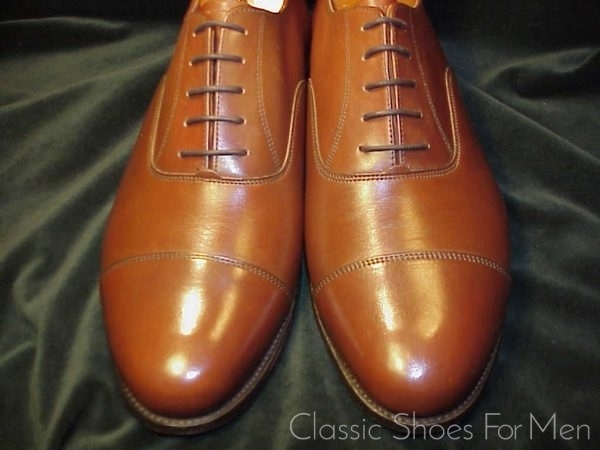 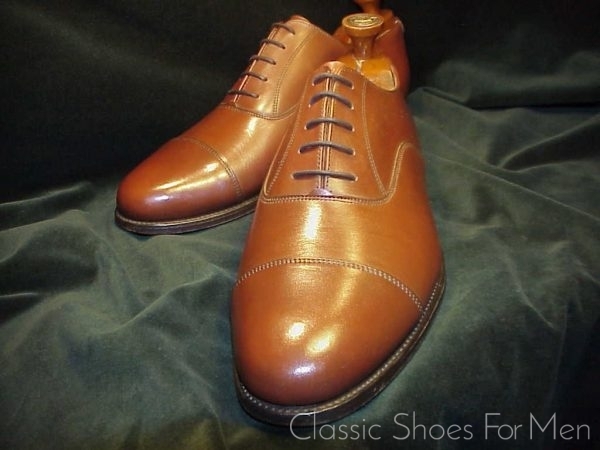 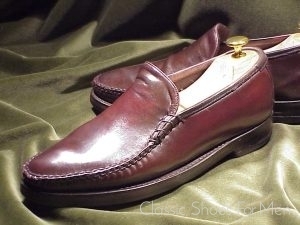 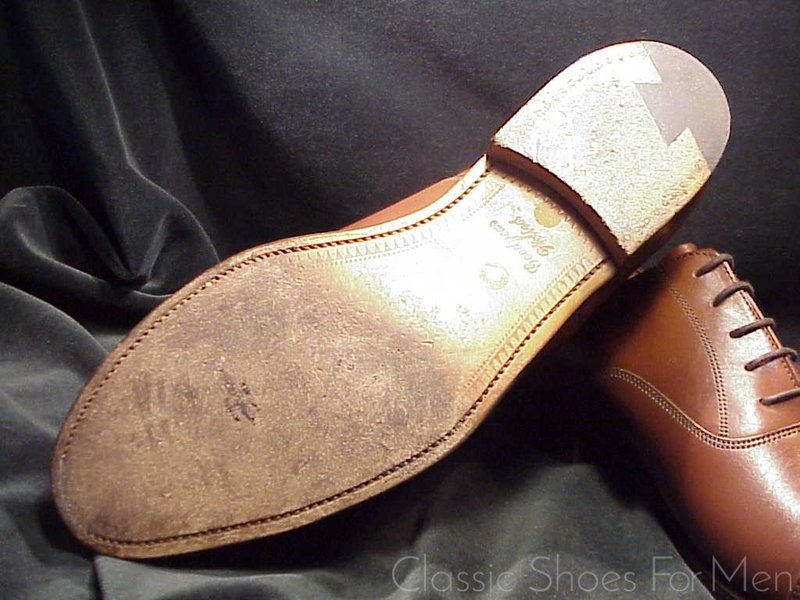 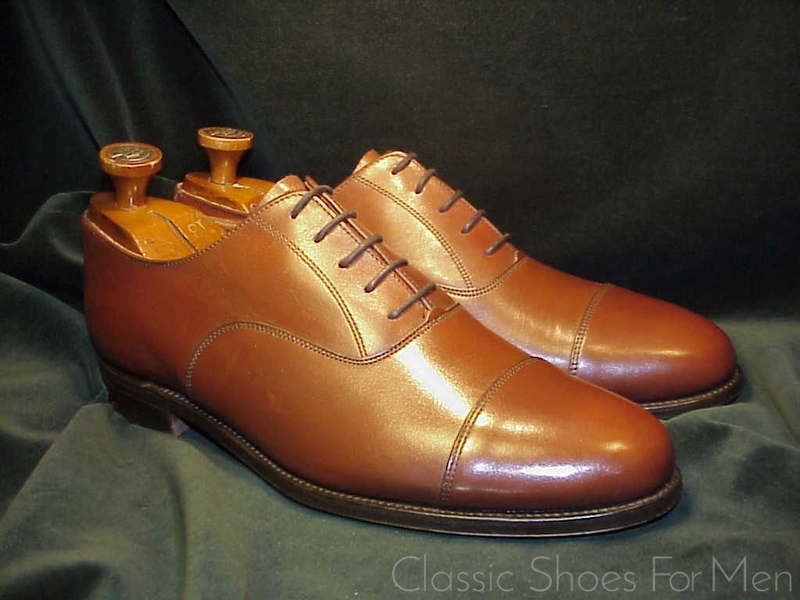 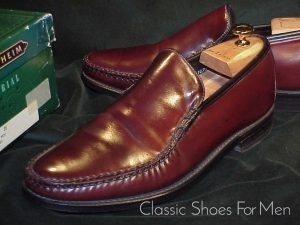 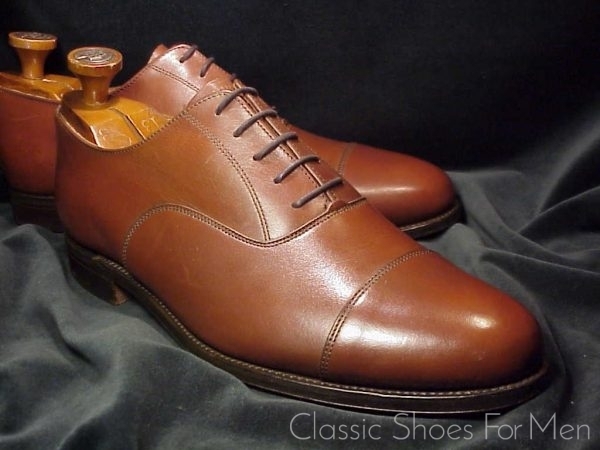 The present shoe, Goodyear Welted with McAffe style combination dove-tailed heels, profits from this firm’s unimpeachable mil-spec manufacturing techniques. UK 10.5E......US 11.5D......Continental 45D, for the medium width foot. 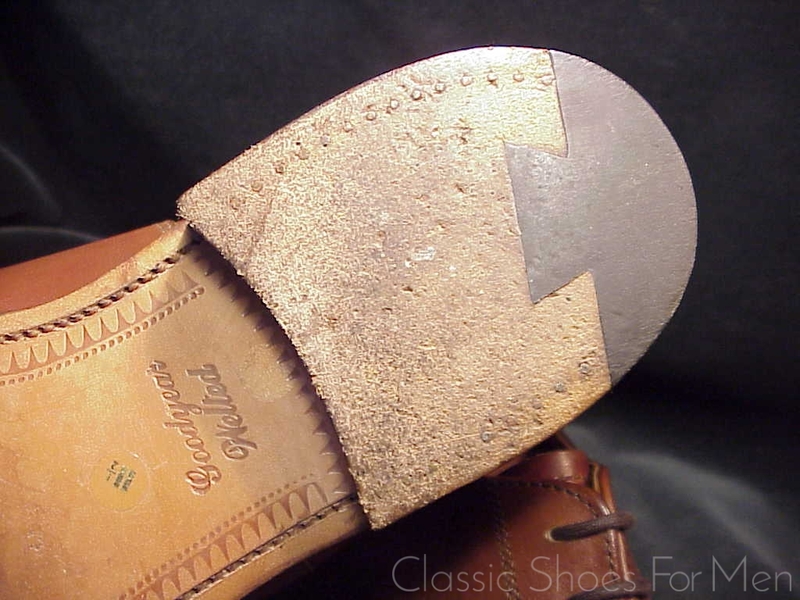 Tops like new. 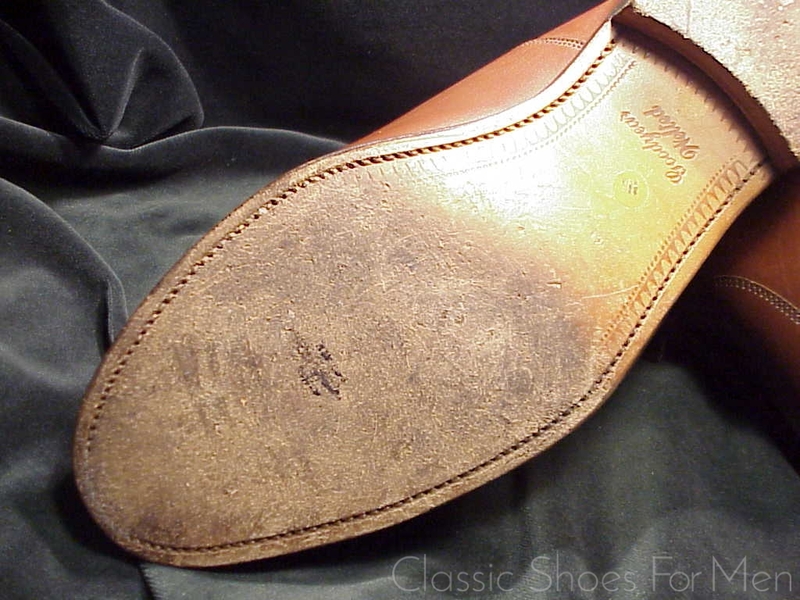 Bottoms very lightly worn. 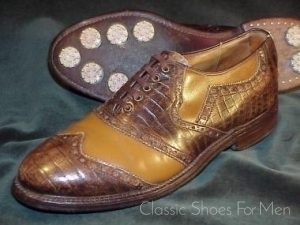 Nearly new, neuwertig.